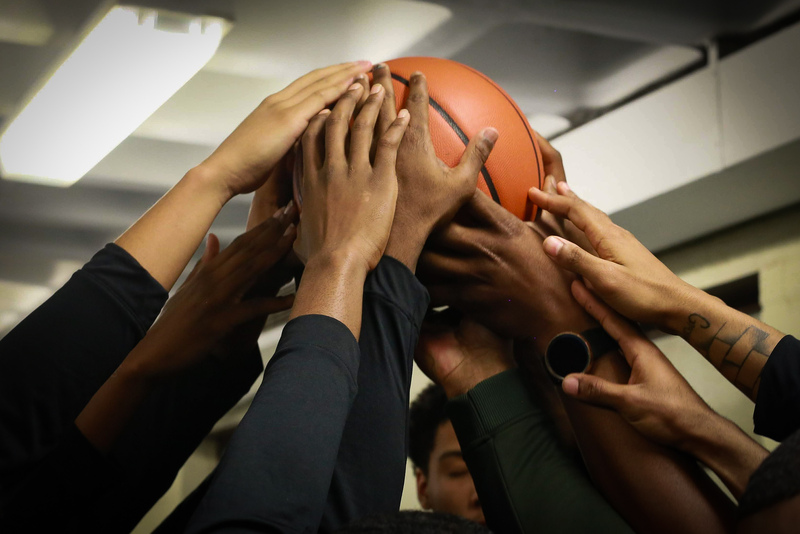 The 2017-18 basketball season for Parkdale High was a rather rough one under previous head Coach, Seth Coffing. Coach Coffing led his team to a disappointing 2-20 regular season record along with early first round exits by the later 4A South Regional Champion Bladensburg Mustangs. 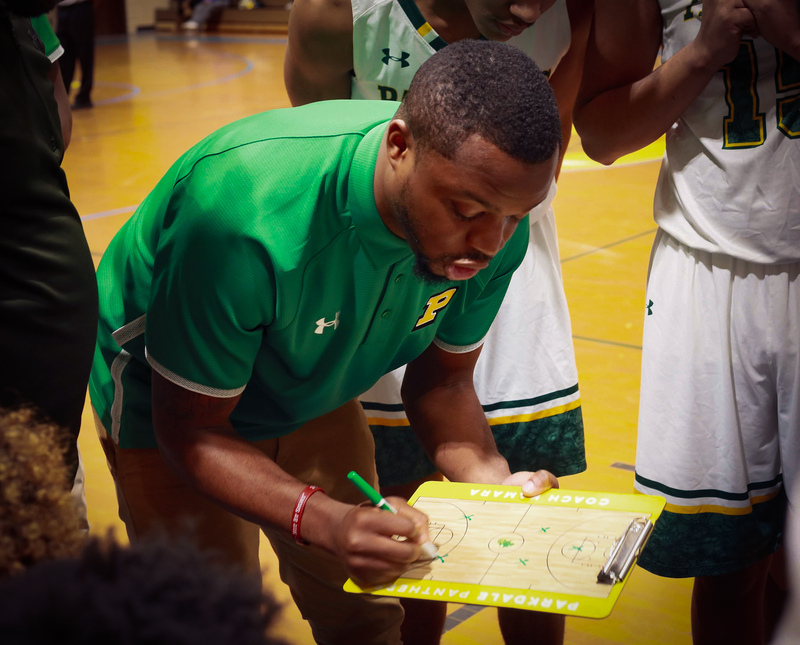 Due to traveling issues, Coach Coffing later resigned as head coach, leaving Parkdale in a position to find an entirely new coaching staff that could rejuvenate the culture of Parkdale basketball and make the team a competitor in the 4A South Region. In mid-October, Parkdale athletics staff hired Head Coach John Kamara. Coach Kamara–previous assistant coach of the Bladensburg Mustangs who helped the team win the 4A Regional Championship the year before — announced publicly on October 18, 2018 on different social media platforms such as Twitter and Instagram that he would be joining the Panther team. He instantly created a connection with returning varsity players and junior varsity standouts in order to build a much needed chemistry. Kamara’s basketball experience includes playing varsity basketball at Bladensburg for three years and then playing his collegiate career at St. Augustine University, a Division II program in Raleigh, North Carolina. Although he was off and on his team’s roster due to injuries, immediately after he graduated from college in 2013, Kamara was placed on Bladensburg coaching staff. His time at Bladensburg included two visits to the 4A South Regional Final and one visit to the 4A state final, losing to a very loaded Perry Hall Gators team. With the loss of 2018 forward graduates 6’5” Samuel Obasi, 6’8” Christopher Madioh, and 6’4” Koby Baptise due to a desire to go prep for a year, Parkdale has generated a predominantly guard focus offense. The senior backcourt with Jeter and Abdul Ojulari lead their teams in scoring, averaging a combined 28.6 points per game (ppg). Combined, they also shoot 47 percent from the field and a stifling 56 percent from three. Despite their incredible statistics, Parkdale basketball as a whole still suffers dramatically, standing at 2-9 on the season (at the time of publication). The slow start is amounting to Panther basketball to average 10.3 turnovers a game along with rebounding as low as 8.0 rebounds a contest. 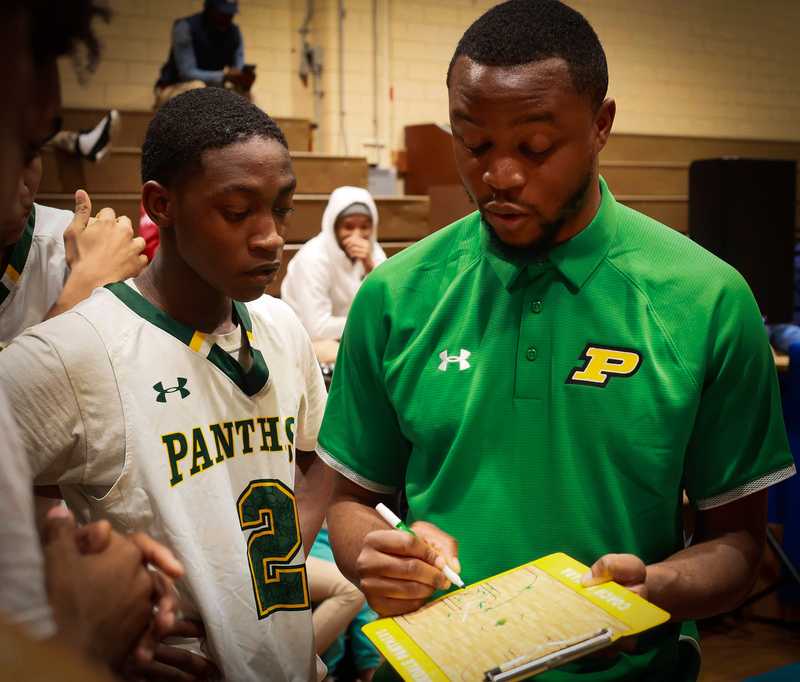 Nevertheless, despite Parkdale disappointing start to their season, Coach Kamara still has “high hopes” for Panther Basketball.